When we hear the word "heresies," we tend to think of distant centuries filled with religious quarrels that seemed important at the time but are no longer relevant. Belloc shows that the heresies of olden times are still with us, sometimes under different names and guises, and that they still shape our world. 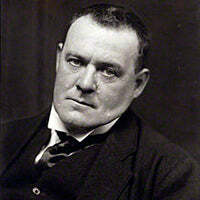 Hilaire Belloc was an Anglo-French writer and historian. He was one of the most prolific writers in England during the early twentieth century. He was known as a writer, orator, poet, sailor, satirist, man of letters, soldier and political activist. His Catholic faith had a strong impact on his works. He was President of the Oxford Union and later MP for Salford from 1906 to 1910. He was a noted disputant, with a number of long-running feuds, but also widely regarded as a humane and sympathetic man. Belloc became a naturalised British subject in 1902, while retaining his French citizenship. Belloc wrote on myriad subjects, from warfare to poetry to the many current topics of his day. He has been called one of the Big Four of Edwardian Letters, along with H.G.Wells, George Bernard Shaw, and G. K. Chesterton, all of whom debated with each other into the 1930s. The Great Heresies of the Past...Ring True Today. Hilaire Belloc took 5 of the scores of past heresies and explained their origins and impacts, still felt today. Mohammedanism portrayed as a Christian Heresy? Yes, and it makes total sense, despite what the majority of people think today. His treatment of Modernism surely draws on such great Popes as Leo XIII and Pius X. I highly recommend this book if you want to truly gain an understanding of just what is unfolding before our very eyes. The Moderns may be winning, but Jesus Christ will conquer, the Gates of Hell will not prevail. I firmly believe this too shall pass.